When Oric returns from searching for herbs he finds his home, Dunbarton Manor under attack. The alchemist, Deveril, mentor and friend to Oric, is lying there, mortally wounded. The old man thrusts a key into Oric’s hand and tells him it opens something of great value. He also warns of terrible danger, should the key fall into the wrong hands. Esica Figg, a notorious criminal, is determined to get his hands on the key, even if he has to kill Oric to do so. Oric escapes the burning manor and eventually finds Bayersby Manor, ancestral home of Sir Edred and Lady Myfenny. Together with his new friends, Ichteus, the apothecary, Dian, the scullery maid, Oric has many adventures. The trio is helped, but more often,hindered by Parzifal, Sir Eldred’s Irish Wolfhound, and by the donkey< baccus. Will Oric find the answer to the mystery of the Alchemist’s key? In this book, part two. Oric is a bit older. He is now no longer an apprentice, but an apothecary assistant. When Lord Eldred hears of an epidemic at Lockton Castle, he sends Oric, to prevent whatever it is from spreading. Parzifal, the Irish Wolfhound and two of Oric’s friends join him to protect him. What Oric discovers at Lockton Castle makes him return to Lord Edred as fast as he can. 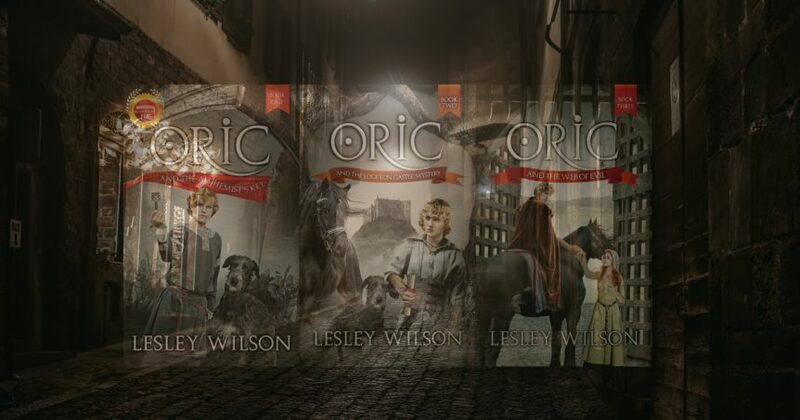 But there are not only changes ahead for Lord Edred, Oric will have a lot handle as well. 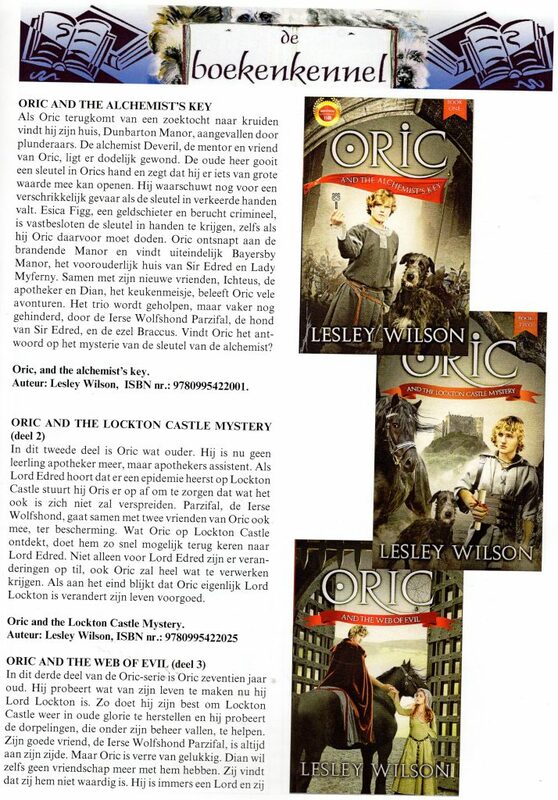 When, at the end, it’s discovered, that Oric is Lord Lockton, his life is forever changed. In this third part of the Oric books, Oric is 17 years old. He’s trying to make something of his life as Lord Lockton. He does his best to make Lockton Castle thrive again and he tries to help his villagers. 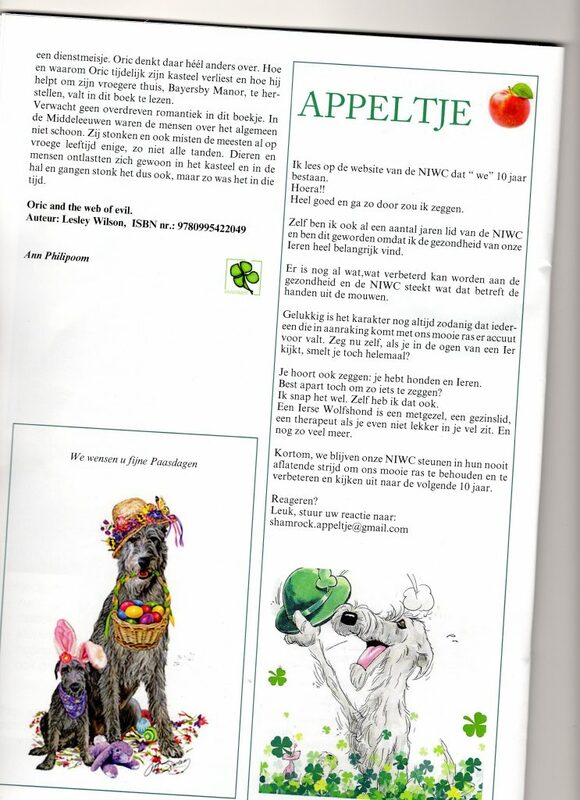 His good friend, the Irish Wolfhound, Parzifal is always with him. But Oric is far from being happy. Dian refuses even friendship. She feels she’s not worthy. He being a Lord and she just a maid. How and why Oric loses his castle ( just for a while), and how he helps rebuild his former home, ,Bayersby Manor, is what one can read about in this book. Don’t expect a lot of romance in these books. The people in those days weren’t clean. They smelled and most lost many, if not all of their teeth at a young age. Humans and animals relieved themselves in the castle halls, so that was smelly too, but that’s how it was back then.